The Internet is overflowing with different kinds social websites. Most of these websites are not very adequate but on the contrary, the other ones are rather eye-catching, intriguing and have a large audience engagement. So have you ever wondered why this happens? The problem with lesser audience engagement websites is not their production quality, the problem is with the content they have on their websites. We all, surfing the internet day and night, the first things we notice on the website are the eye-catching pictures and the dazzling videos. They attract our attention to the specific website on which they are uploaded. The charisma of these pictures is due to the use of a perfect camera that empowers the image to be spectacular. The perfect cameras enhance the quality of the image making it more vivid and distinctive to the eye of the observer. There is no real point in making a content if it does not hold the audience to the screen. Similarly, as a perfect camera is important for taking extraordinary images, it is also very useful for creating phenomenal videos which allure the attention of the audience and helps to increase audience engagement on your website. Pictures and videos made by a perfect camera are the backbones of your website because the people initially perceive the overview and image of your website by them. The frame of the camera should be focused correctly. If your shot is poorly taken the audience would not care about how high the quality of the knowledge you are giving them. The audience would just focus on the quality of the video and that’s what increases the audience engagement towards your website. Thirdly, a perfect camera helps you to provide a better field view in minimal effort and is essential for making an eye-catching video or a photograph. Nowadays, Vlogging is the most creative way to communicate with people. In this aeon of advanced technology and information deliverance having a firm online presence is mandatory for reaching out to the targeted audience, building a reputation and creating engagements from the targeted audience. A Visual platform allows the audience an easier way of accessing and analyzing information which is provided to the user. Vlogging is a short form of “video blogging”. The main point we have to focus on, in making a v-log is that it should be shot with a high-resolution camera to deliver the best quality of video for more audience engagement. A large part of your success is highly related to the gear that you use for the purpose. In spite of the fact that the value of the visual quality and the content is an essential feature but your images and video quality matter a lot. It can drive you to the path of having increased audience engagements. 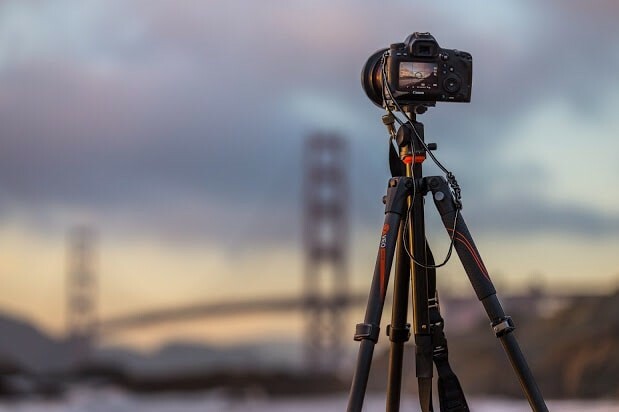 The essential features for a vlogging camera is that It should possess high definition video recording ability, optical image stabilization, build in microphone, lighting, close range lens and tripod. These are some main qualities a Vlogging camera should possess which will help you gain more audience engagement to your website.